If you are looking for extra income from your investments, take a look at real estate investment trusts. Real estate investment trusts (REIT’s) are known for offering some of the biggest dividends around. REIT’s invest directly in residential or commercial real estate and receive special tax considerations from the government. In exchange for lower taxes, REIT’s are required by law to pay out 90% of their earnings in the form of a dividend to investors. Let’s take a look at a relatively new REIT by the name of Chimera Investment Corp (CIM). Chimera is a spinoff of Annaly Capital Management. The company became its own entity in 2007. Chimera is a REIT that invests heavily in mortgage backed securities. Mortgage backed securities are claims on the future cash flows of mortgage loans. If you have watched television over the last few years, you know the difficulties that the housing market is having. Mortgage backed securities are at the center of this mess. Individuals are struggling to make their mortgage payments and homes are being foreclosed on nationwide. As a result of this home prices are dropping and loans are being defaulted on. Despite the troubles in the housing market, Chimera has weathered the storm admirably. After two years of negative earnings, Chimera returned to profitability in 2009. The company has managed to grow earnings nearly 300% over the past 5 years. Revenue jumped over 500% last quarter. Earnings are expected to grow 8% over the next 5 years. These are excellent numbers for a company that operates in the real estate market which has been in the doldrums since 2006. The good news is that things appear to be returning to normal in the securitization market. The Federal Reserve had been purchasing mortgage backed securities to help lower mortgage rates and prop up the housing market. The Fed has stopped purchasing these securities and now the market appears to be getting healthier on its own. The future looks bright for the mortgage lending business. Although loan volume may be down in the future, loan quality will be much higher due to increased governmental regulations. Liar loans and no doc loans will soon be a thing of the past. This should help reduce the default rate on loan securities. MBS ratings should actually mean something in the future. At just $3.71, Chimera trades at 1.07 times book value. Chimera is currently yielding an incredible 18.5%. The dividend payout appears sustainable. Chimera is expected to earn 75 cents for the full year and will pay out 68 cents in distributions. This is a 91% dividend payout rate to shareholders. At juts 5 times earnings, Chimera is a nice bargain for value investors. Standard and Poor’s (S&P) analyzes their top-performing blue-chip stocks each year to provide a list of S&P 500 Dividend Aristocrat stocks. To qualify for this list (See safe dividend list), the company must be part of the S&P 500 and have dividends that have consistently increased for at least the last twenty-five years. As of June 30, 2010, the S&P 500’s Dividend Aristocrat Index has a one year return of 23.02%. If you’re building a stock portfolio that will provide you with passive income, you can generally depend on these high-performing dividend stocks to continue paying monthly or quarterly payments. Not only can you depend on the checks to keep coming, you can also expect them to increase each year. This feature makes the Dividend Aristocrat stocks a good way to protect your investment from inflation. In addition to the dividend payments, the price of these stocks remains stable compared to other options. Over time, the dividends will pay for your initial investment, and you will still have the original stock available for sale if the need arises. If the stock you are adding to your investment portfolio offers a reinvestment plan, and you don’t need the passive income for living expenses, it would be a smart idea to take advantage of the offer. 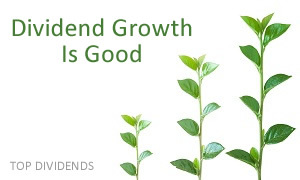 As your dividend payments are reinvested in the original stock, your number of shares will increase each quarter. Because this doesn’t require an out-of-pocket investment, it’s a painless way to build your asset base. If you decide that your dividends have grown to the point that they could pay for your living expenses, and you would like to stop working, you can opt out of the plan and live the good life courtesy of your high-paying Dividend Aristocrats. You may have never heard the term Dividend Aristocrats, but you will certainly have heard of the companies that make up this S&P index. In 2010, almost fifty well-known companies are included in the S&P 500 Dividend Aristocrat Index. 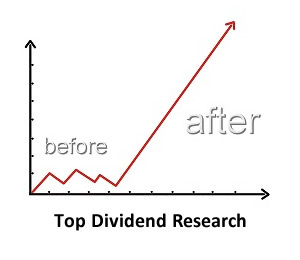 We created the safe dividend list for our top dividend members. 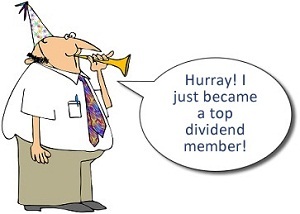 In that list we show all of the dividend aristocrats and we include our top dividend data and ratings. The best two places to look for great dividend yields are in REIT’s and limited partnerships. REIT’s are real estate investment trusts that are required by law to pay out 90% of earnings to all shareholders. Limited partnerships are business organizations that have general and limited partners who are entitled to a share of the partnership’s cash flow. As a limited partner, you are entitled to a portion of the firm’s cash but are not responsible for its liabilities. Let’s take a look at one such limited partnership that is currently paying a great dividend. The current stock market decline has created an incredibly high yielding stock in the infrastructure industry. 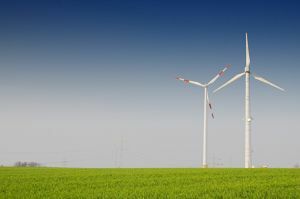 Brookfield Infrastructure Partners (BIP) is a limited partnership that owns infrastructure assets in the energy, timberlands, and transportation sectors. The company has operations in North America, China, Europe, South America, and Australasia. Brookfield Infrastructure was spun off from Brookfield Asset Management in 2008. Brookfield manages a portfolio of very attractive infrastructure assets. Brookfield started out with a major the majority of its portfolio in timber. The company now owns large positions in the railroad industry, coal mining, and natural gas. The company even has stakes in parking lots and transmission lines. These are very defensive sectors that tend to hold up well during market swoons. Brookfield Infrastructure is a small cap stock with a market cap of just $1 billion dollars. In a market with volatile price swings day in and day out, Brookfield is a solid stable growth play. Growth is expected at 6% for the next 5 years. The most attractive part about Brookfield is the generous dividend yield. At just $16 a share, the stock is currently yielding a ridiculous 6.8%. The 6.8% yield is higher than anything that you will find in the bond market. Ten year treasuries are currently yielding under 3% and AAA corporate bonds are paying less than Brookfield’s yield. Brookfield is an attractive investment because the partnership distributes 60 to 70% of funds back to investors. The company’s goal is to increase their dividend payout 3 to 7% per year. Brookfield is only covered by one Wall Street analyst. Small cap stocks with little analyst attention have the potential to outperform the market as a whole. When a stock is only covered by a few analysts, it has a greater potential to outperform analyst expectations. Not only are you getting an incredible yield, but you are also getting the potential for capital appreciation with Brookfield’s infrastructure portfolio. Infrastructure assets tend to perform very well during times of economic growth and inflation. Brookfield is in a prime position to benefit from any global economic recovery. The company estimates that overall spending in the infrastructure industry will be at least $370 billion a year through 2010.With the huge amount of fiscal stimulus by nations worldwide, it’s only a matter of time before inflation returns to the market place. While the market has been subject to wild price swings over the next few months, you can park your money in Brookfield Infrastructure L.P. reap a high dividend and rest safely at night.